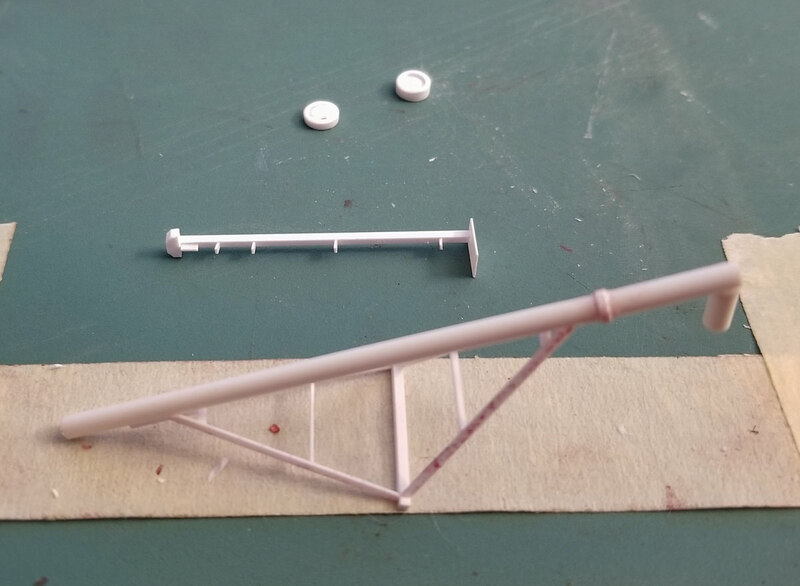 Found myself with some free time this afternoon and decided to pull out the Styrene Tub of Wonder to see if I could make something. I found a bunch of short strips and got to work. The idea for an auger came after seeing one sitting by the grain silos down in Roca. So, a couple A frames and we're on our way. 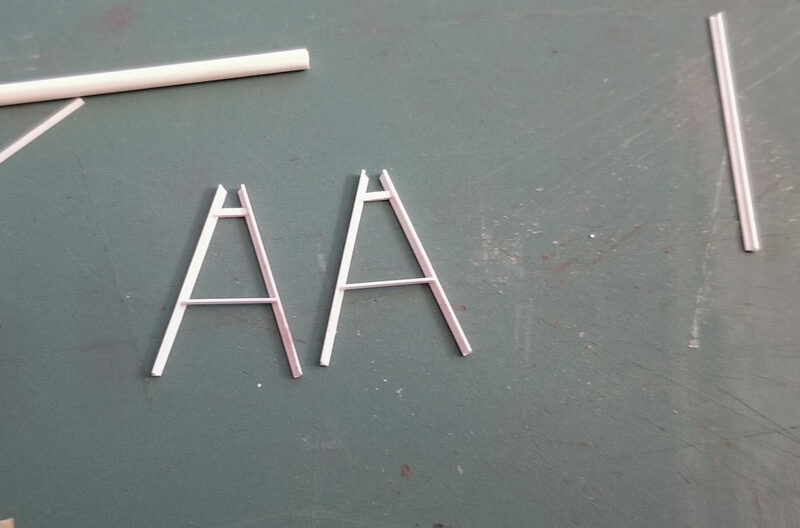 Found two short tubes in Styrene Tub of Wonder, not really long enough, but perfect diameter. I simply welded them together for a better length and added a collar to help hide the seam. Using random reference from google, I saw this secondary channel thing. I think it may be used to extend/telescope the main shaft. 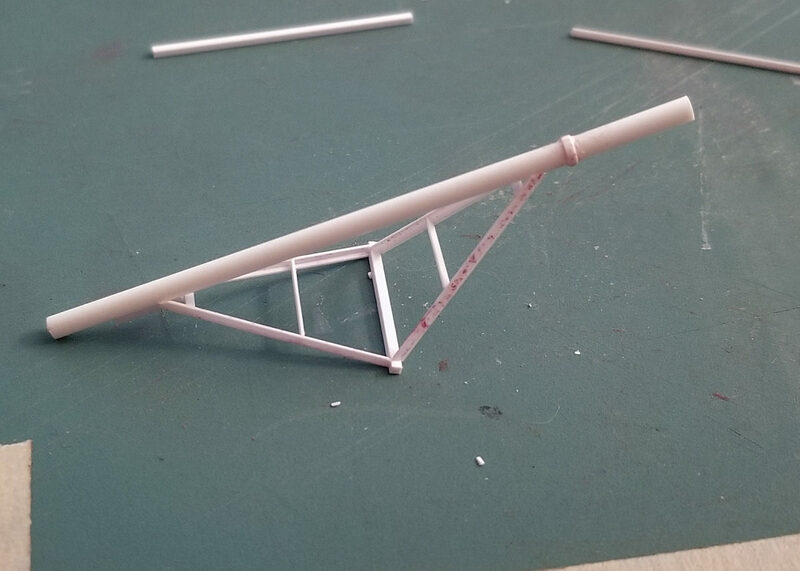 A few more random scraps make up the dump tray and trailer bar, and a few polygons for the top chute. I think that will do it! And in rare fashion for me, I had enough extra time on my hands to actually paint the thing! The reference from Roca shows the Westfield Yellow and Red scheme, so that's what I went with here. Nonetheless, this was a fun little one day build. I definitely plan to do more of this! Yes, very, very nice. I also believe that details matter! Thanks guys. I went ahead and set up the modules and set the auger in place. That should be an article for a magazine. 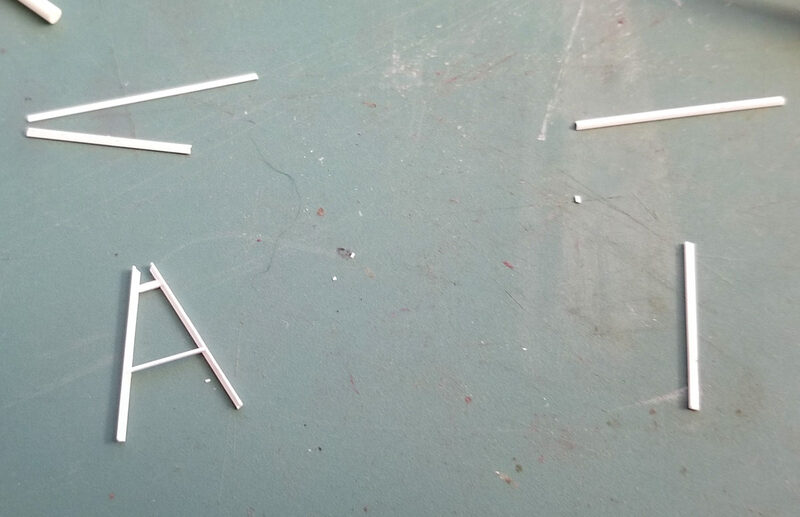 Wish my styrene tub had some wonder in it. I was out in the Somerset PA area this weekend. Many farms and I saw at least three of those conveyors in the vicinity of farmers' storage bins. I could swear they were the same model, certainly looked the same driving by. Seems like it could be standard for many farm scenes. Well, it did! There are 4 different silos, 3 of which are different sizes. First I scratch built two big silos. 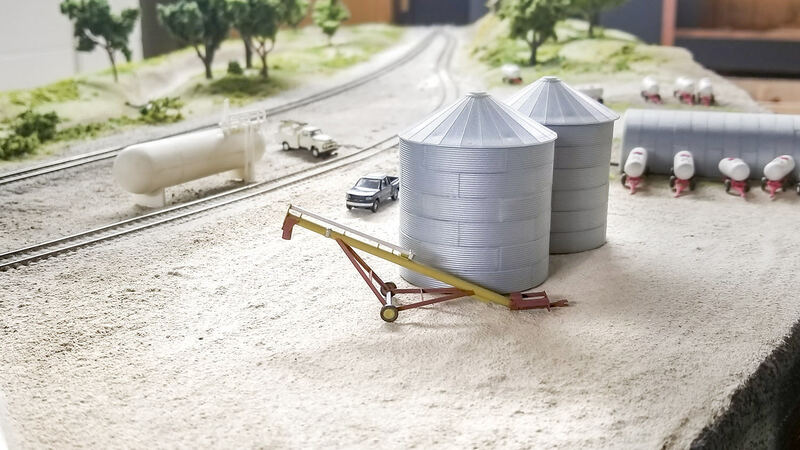 The two Rix Products silos are the proper diameter for the other two silos in the scene, but one needs to be twice as tall. Luckily, that Rix Product Quonset is not correct for the scene either; it's been sitting there all these years waiting for this moment to happen. Not only did I finally build the two silos, I finally built the correct storage building! 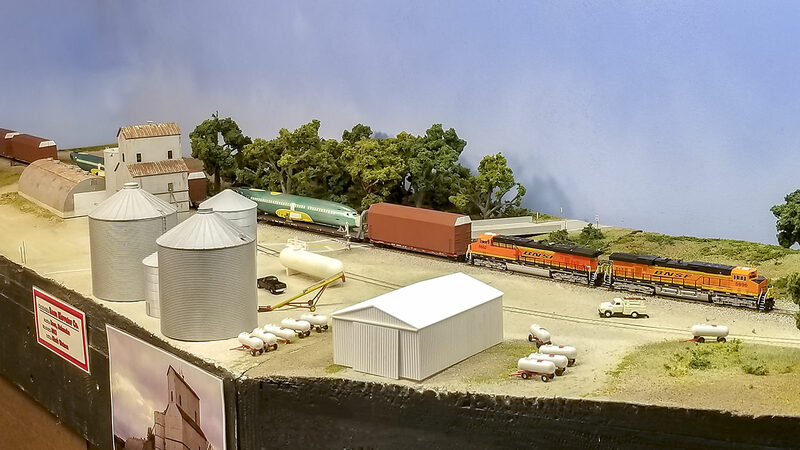 With that, the Quonset, simply being the silos cut in half on their side, was dissected and made back into the tall, small diameter silo to finally complete the buildings on this module! Very nice model! The "secondary channel thing" is actually a cover for the drive shaft. These augers never telescope; it would be too complex for regular farm equipment. The drive shaft is connected with sprockets and roller chain to the main spiral at the top of the auger. That is the rectangular cover at the top. The drive shaft should extend farther to the bottom of the auger. 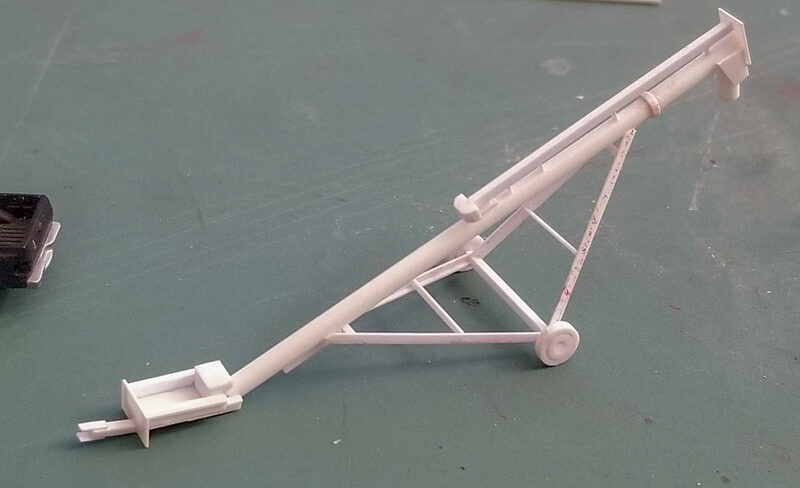 It usually ends at about the same place the lower support attaches to the auger barrel. Many of these are powered by a PTO shaft from a tractor. But I have seen these powered by a small gas engine or electric motor. It depends on what power is available, and where it is used. 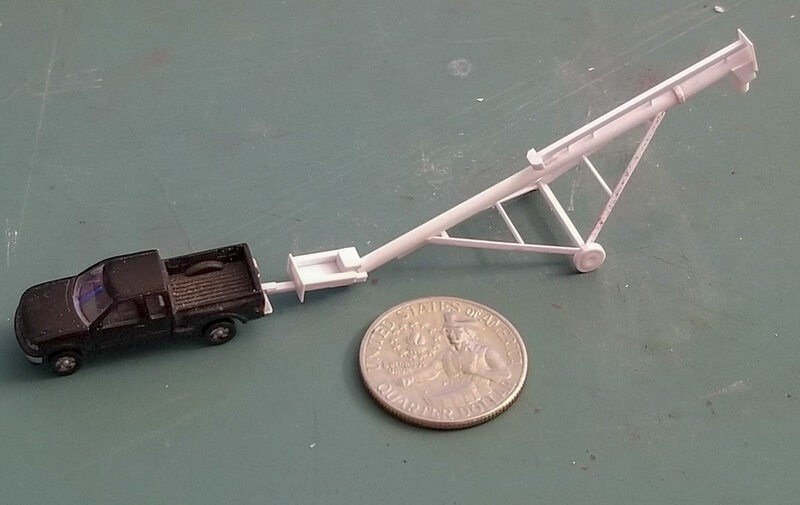 On your model, the drive shaft still looks very plausible. Especially if your auger is electric powered. Great post Mark, it's always great to get in those quick win projects to regain enthusiasm again. Thanks for sharing.